Background Check and Due Diligence Investigation to Protect Your Business With the Help of ISOG Private Investigator and Private Detective. When you need to hire a new employee, evaluate a business decision, decide whether to establish a partnership or select a new supplier, ISOG private investigators and private detectives can do a background check and a due diligence investigation and find the information you need. Our service aims at reducing the risk of taking uninformed decisions which might lead to a future business loss. We also provide a specific service for banks and law firms. To investigate whether a person and his/her references are involved in terrorism, money laundering or organized crime, by using open source information. 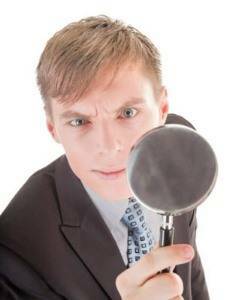 To investigate his/her personal and commercial references. All information available in the Basic Background Check and Due Diligence. To verify his/her residence, public records, electoral roll, credit opinion and owned properties. All information available in the Silver Background Check and Due Diligence. To investigate civil court sentences. All information available in the Gold Background Check and Due Diligence. To investigate his/her criminal records, education and employment, and banking information. To confirm whether a company is real and legally registered, when was incorporated and who are the real owners. To investigate the company’s basic information such as the names of directors, the authorized capital and the names of shareholders. To verify more detailed elements with regards to the company’s address and its balance sheet. To identify the company’s strategy decision makers. To identify the bank references. To investigate more in depth the product lines, the shareholders, the profile of managers, legal status, financial status, bank details, organization structure, commercial references and international commercial activities. To verify the credit risk of the company and its history of bad commercial relations. To retrieve all registered corporate documents, including the Company Registry certificate, registered documentation of shareholders’ and board meetings.